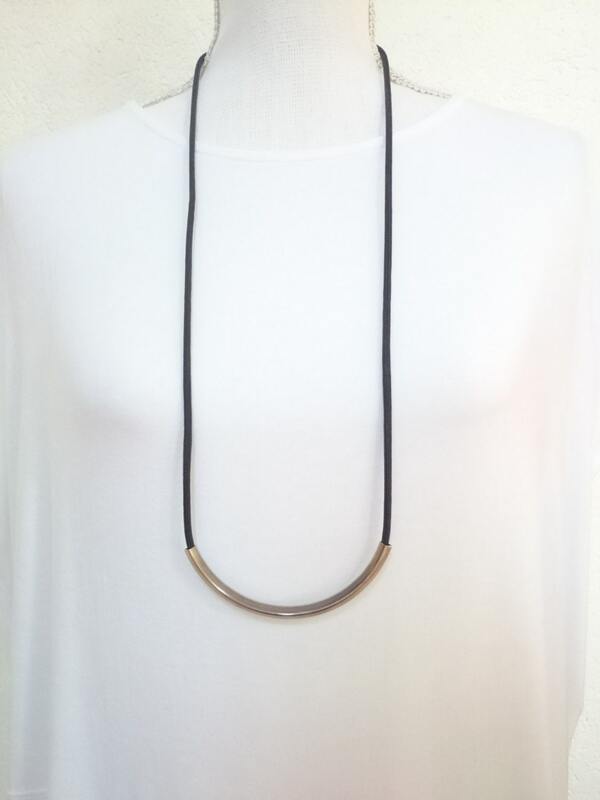 Rope Bar Necklace. 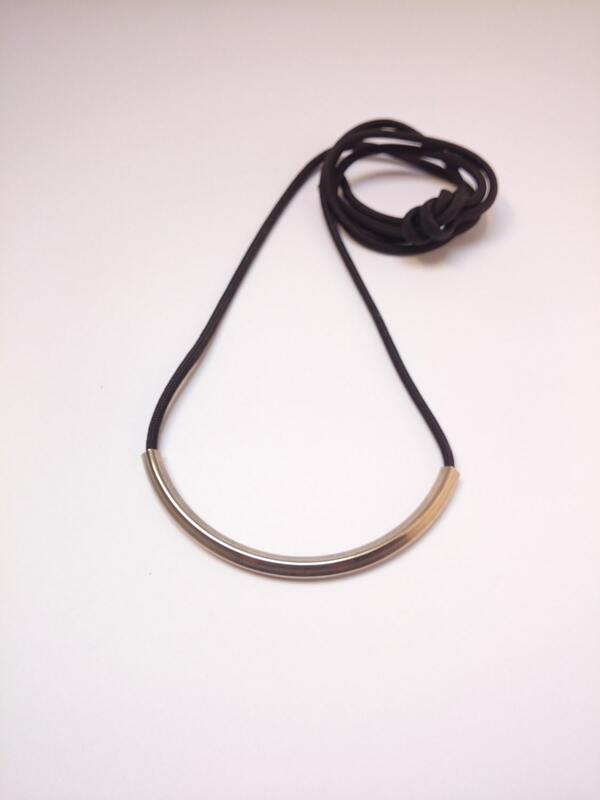 Black cord and silver brass tube hypoallergenic and minimalist long necklace. 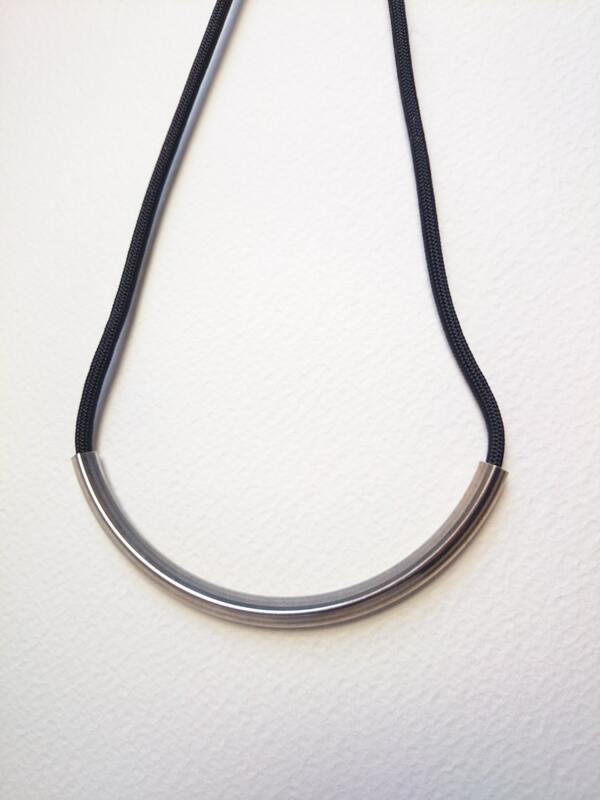 Necklace I made with nylon cord about 115 cm/ 45 inches long and 4 mm wide and a silver brass square curved tube of 95 mm/4 inches and 5 mm. Nickel free. 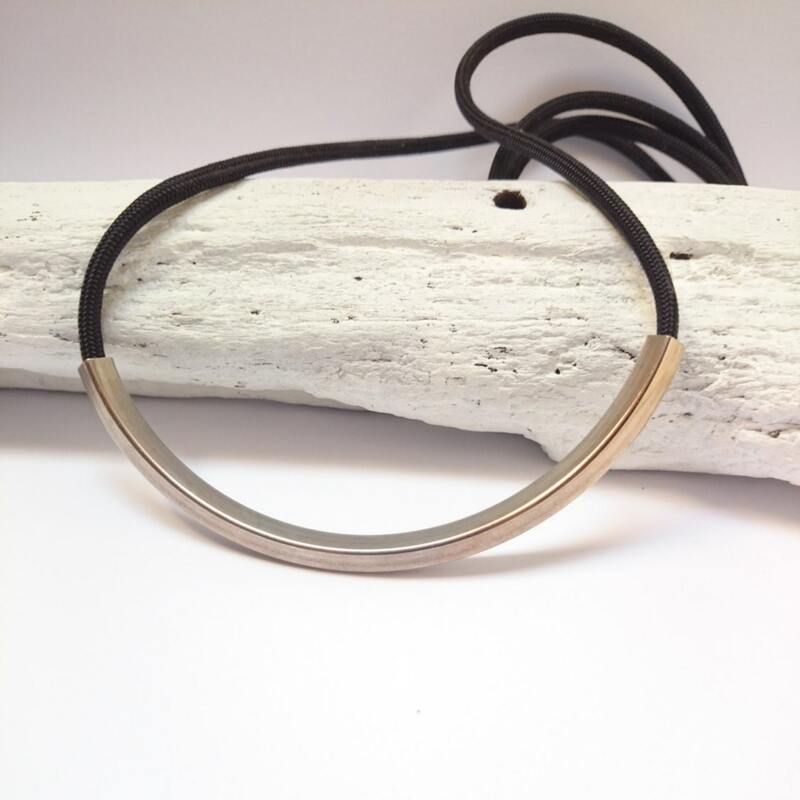 Minimalist necklace, lightweight to wear ! 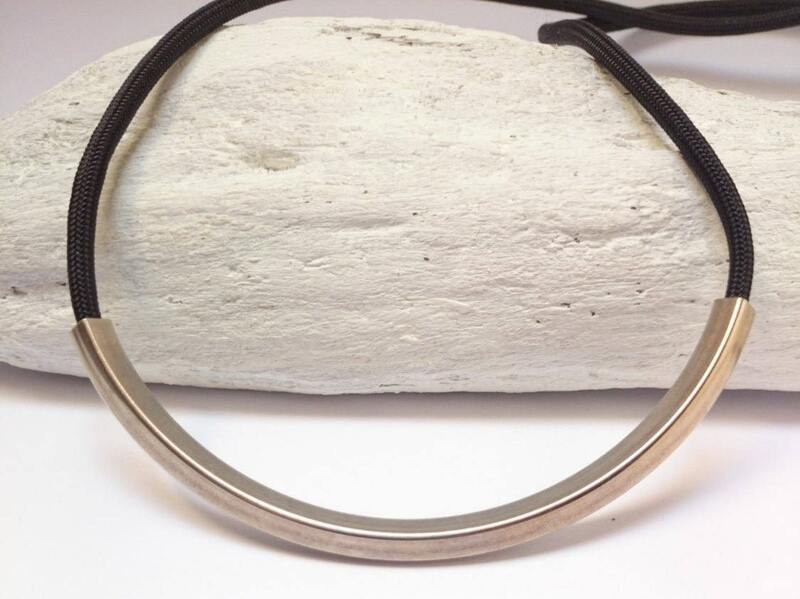 Adjustable length - tie with a knot. So you can wear it the length you want.